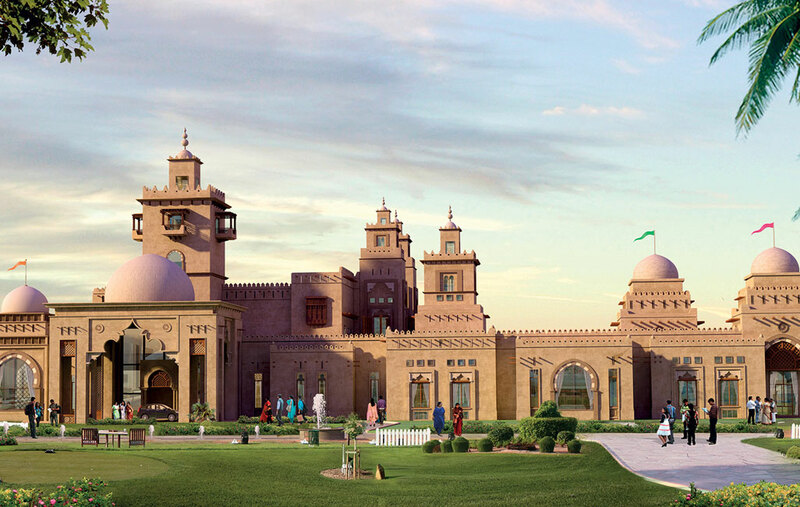 The country club will offer residents of Dream City a unique and exclusive hub to enjoy sporting and social activities. 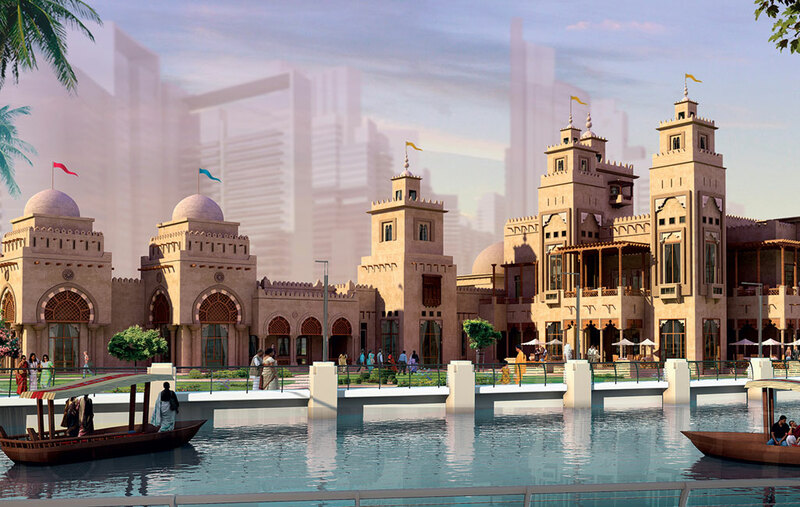 The country club is located along the canal embankment, easily accessible to residents of Dream City by car from the boulevard, by water taxi from the canal, or on foot while enjoying a pleasurable walk from their neigbourhood. The setting offers panoramic views from the various gardens and terraces, and from the interiors of the public function rooms, making this club a central hub for social and cultural interaction for all age groups. Designed in an eclectic Indian classical/colonial style, the country club offers a fine dining restaurant, library and games room located on the first floor, while the ground floor accommodates a cafe/lounge with reception area, meeting rooms, state-of-the art spa and fitness centre and party room, all set within landscaped recreational grounds, including a swimming pool with a deck area. The club also offers water sports such as canoeing and kayaking. The classical colonial design of this clubhouse contrasts in architectural style and scale to the otherwise modern and contemporary residential towers forming the various neighbourhoods of Dream City. This emphasizes its role as a destination and focal point of the community. The club will be constructed at the same time as the canal network, boulevard and start-up parcel.